Mortgage Tree has a private screening appreciation event for our clients in partnership with Hendrix Law. 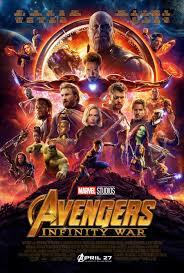 This new Marvel movie “Avengers: Infinity War” starring Robert Downey Jr., Chris Hemsworth, Mark Ruffalo, Chris Evans, Scarlett Johansson. Please note this is a closed door private event with complimentary popcorn and drinks being offered. Special guest will be “Iron Man” to take pictures with you. Everyone can colour on our Autism Awareness Colouring wall too! When you enter the Chinook Cineplex’s main entrance go up the escalators and you will see a Mortgage Tree check-in station. Our Mortgage Tree representative will check you in and your guest(s) plus provide your ticket(s). So please make sure to register early as seating is limited. Doors will open at 8:30am and the movie starts at 9:30am with a run time of 2:40, rated PG – 13. Your discretion if your children are younger as they are welcome too.